pants were the perfect thing to help get me in the mood..
Oh and my Megadeath Tee always puts me in a good mood! LOVE those pants and the way you styled them! looking great girl! I love this outfit and green jeans are definitely next on my list! Great styling idea! I have some green pants and I love what you are doing here! Your trousers are such a fun infusion of colour, and adore the fur waistcoat! Gorgeous outfit! I love all those accessories! DOH - I loves me a good rock tee look. This one is no exception. Happy Monday gurrrrlllll! Love the color of those pants! And those boots are adorable! love the rocker tee w/ the vest! OBSESSED with those jeans!! that color is phenomenal on you nicole!! This is such an awesome look - and the Megadeath shirt is totally making it for me! Loving the bright and the faux fur vest, and am so obsessed with those Chloe sunnies! You rock this outfit girl!! Amazing, I love the bright jeans and especially the t-shirt. Fab! Love those pants paired with that fur! What a beautiful mixture between the pants and the fur! You look so pretty! So am I! I would wear this exact outfit in a nano second, I adore each detail so much! 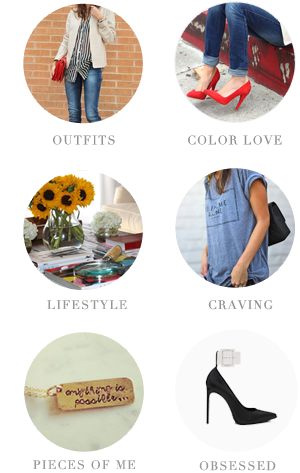 Love the colored denim and rocker tee! So much inspiration here, I'm in awe! Happy Monday! Love your outfit Nicole! Those jeans are the best color!!! Love these pants! After today's crappy rain I am itching for spring!!! Megadeth has never looked so good. Damn girl!! And ps-still crying in the corner over those boots. Love the tee and those pants are awesome! oversized sunnies, faux fur, colored denim? basically a culmination of all my favs! how have you been lady? I can totally see you are ready for spring, you go girl with that great fur! love it! 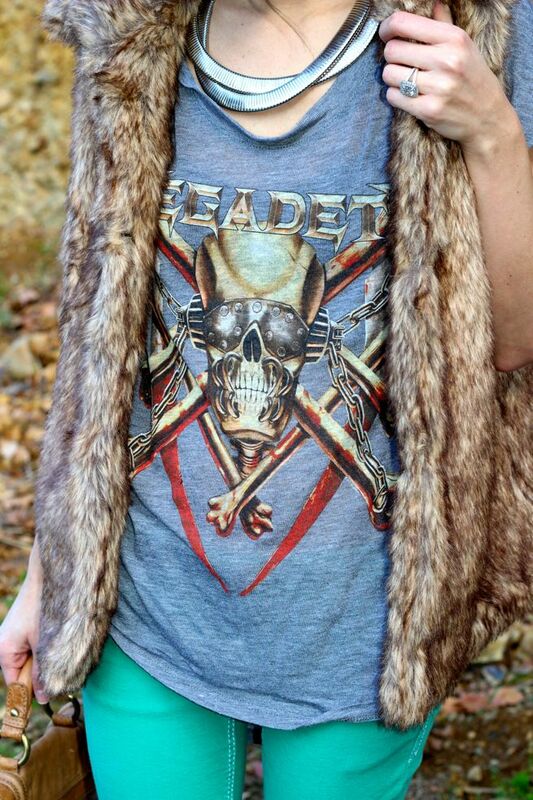 I really like this tee with the fur vest! I've been mulling over a pair of green jeans and after this post I may just get them! LOVE the sunnies. i basically own only one pair (that i wear in public). i SO need to get a new pair!!! I love the shade of the jeans girl! Great style with the fur vest!